Who doesn’t love a good scare on Halloween? You know you enjoy watching a scary movie in a dark living room while trick-or-treaters interrupt, telling horror stories to your younger siblings, or playing your favorite scary game by yourself. 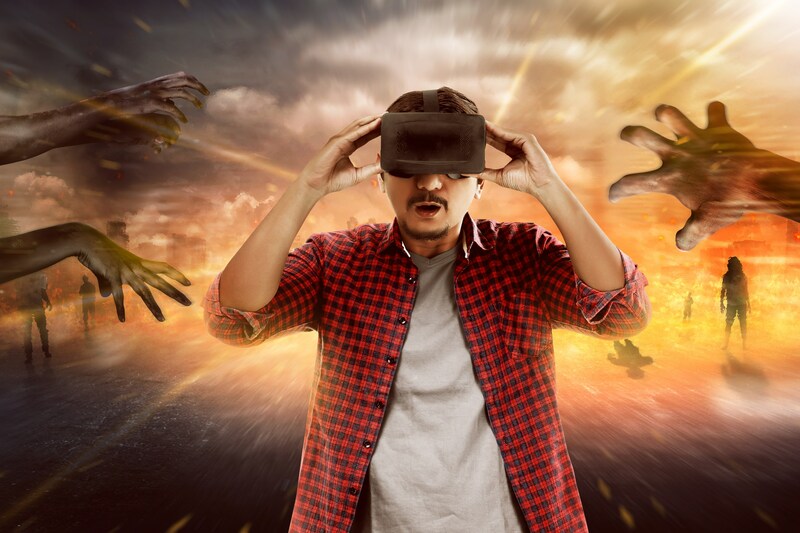 We compiled a list of some fun and spooky VR games you have to play this Halloween. Created by White Door Games, Dreadhalls is an immersive procedurally generated survival and horror dungeon crawler where you play trapped deep inside a massive dungeon. Find your way through using only your stealth, your own courage, and a faint light. Created by Twisted Pixel, Wilson’s Heart is an immersive first-person psychological thriller set in a 1940’s hospital. You play as Robert Wilson who is a patient that wakes up with a strange device that has replaced his heart. Find your way through the increasingly scary corridors and solve puzzles along the way. Created by Fallen Planet Studios, Afftected – The Manor is more of a spooky VR experience than a game, but is highly rated and a great game for this Halloween. Originally released as a demo on Oculus Dk1 and comes highly praised. The is basically the bets haunted house vr experience you will get. Created by Oculus, Dark Days is a truly spooky experience. It has been described as something between The X-Files and Twin Peaks to deliver an eerie puzzle adventure set in one of the traditionally scary sets, a hotel. Created by SIE Santa Monica Studio, Here They Lie is an excellent first-person horror game for PSVR where you play in an unescapable city fileld with creatures out to get you. You will be forced to make some life and death morality choices, be prepared!